Rumor has it that next year’s iPhone will have an OLED display, but the iPhone 7’s LCD display is more impressive than anyone expected. The iPhone 7’s screen looks exactly the same as the 6 and 6s—it’s the same size and has the same resolution. 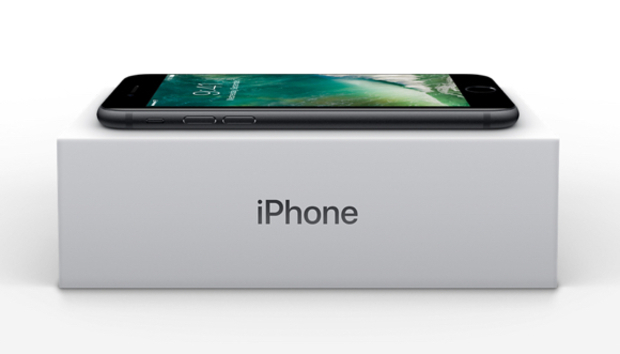 But DisplayMate’s new iPhone 7 shoot-out, which compares the new phone to the iPhone 6, turned up a bunch of neat details. “It is by far the best performing mobile LCD display that we have ever tested, and it breaks many display performance records,” DisplayMate President Dr. Raymond Soneira wrote in the shoot-out report published Monday. To start, the 7 has two standard color gamuts to the 6’s one. Most smartphones use the smaller, more traditional gamut, but the 7 has the standard gamut and the wider DCI-P3 gamut, which is 26 percent larger and is the color gamut used in 4K TVs. The iPhone 7 will automatically switch between the two when showing content so the colors render accurately. DisplayMate found that the 7 implements both gamuts accurately, calling its absolute color accuracy “virtually indistinguishable from perfect.” Not bad. The 7 also has a record low screen-reflectance compared to other smartphones, plus a record high contrast ratio for IPS LCD displays. Its peak brightness reaches 705 nits when automatic brightness is turned on in high ambient light, which is the highest peak brightness in any smartphone. Why this matters: Critics took Apple to task for sticking with LCD instead of making the move to OLED, but the new phone’s display proves LCD is still a high-performing technology. DisplayMate’s Soneira noted that a switch to OLED is likely inevitable, because they are thinner, lighter, more power-efficient, and allow for a much smaller bezel. OLED displays can also be curved, as we’ve seen on some Android phones, though it’s unclear if Apple will take that route.